The kitchen is the social hub of the house. It seems like everyone gathers in the kitchen when company comes over. The kitchen says a lot about you and your style. We are in the processes of slowly remodeling our kitchen to bring it from the 80’s to a current, modern look. One of the biggest impacts that happen in a kitchen remodel is switching out the appliances. When we were looking for new appliances we wanted a modern, easy-to-clean surfaces like GE’s new slate finish. This stone inspired finish is a beautiful alternative to stainless steel. What is remarkable is that the dark matte appearance also naturally hides fingerprints, smudges and dirt, so it’s delightfully easy to maintain. If you own stainless steel appliances and have kids you know how remarkable this feature is. The Slate finish will go with just about any decor. You can pair it with granite or other materials to achieve the look that you are going for. It could work with a French Country vibe or a contemporary modern look. Pair a Slate finish with virtually anything. With such a broad palette of complementary finishes, Slate can appeal to every taste. 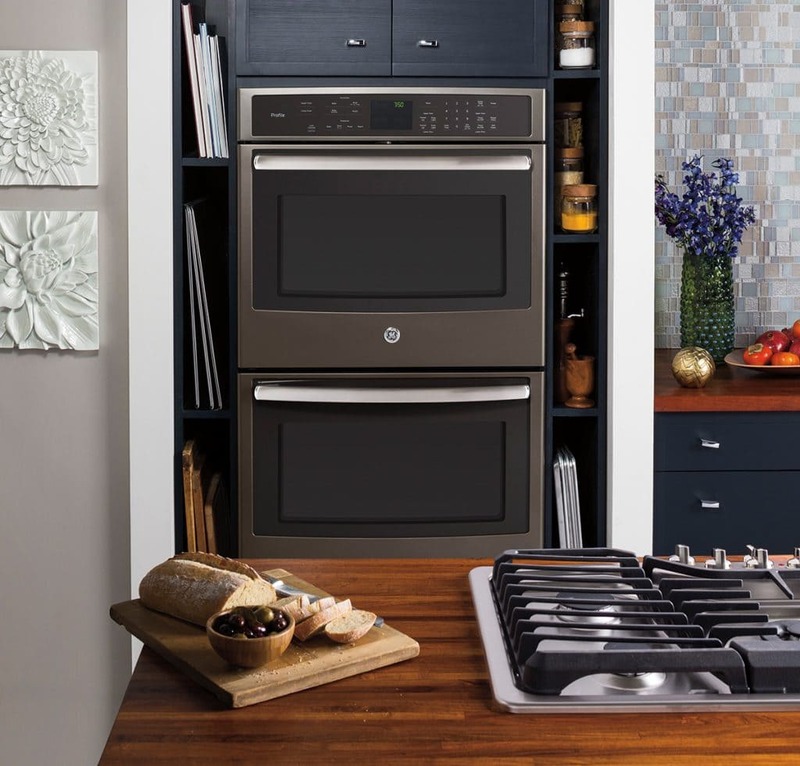 If you are looking for family-friendly appliances that will add class and style to your kitchen be sure to check out Best Buy and GE’s new slate finish. I think you will get excited that you no longer have to sacrifice style for practicability. 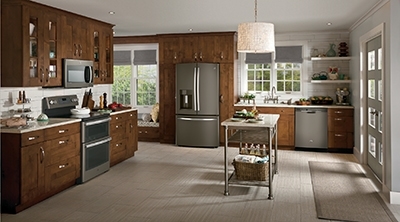 Receive up to $1500 back from GE during the Great American Kitchen Event at Best Buy. 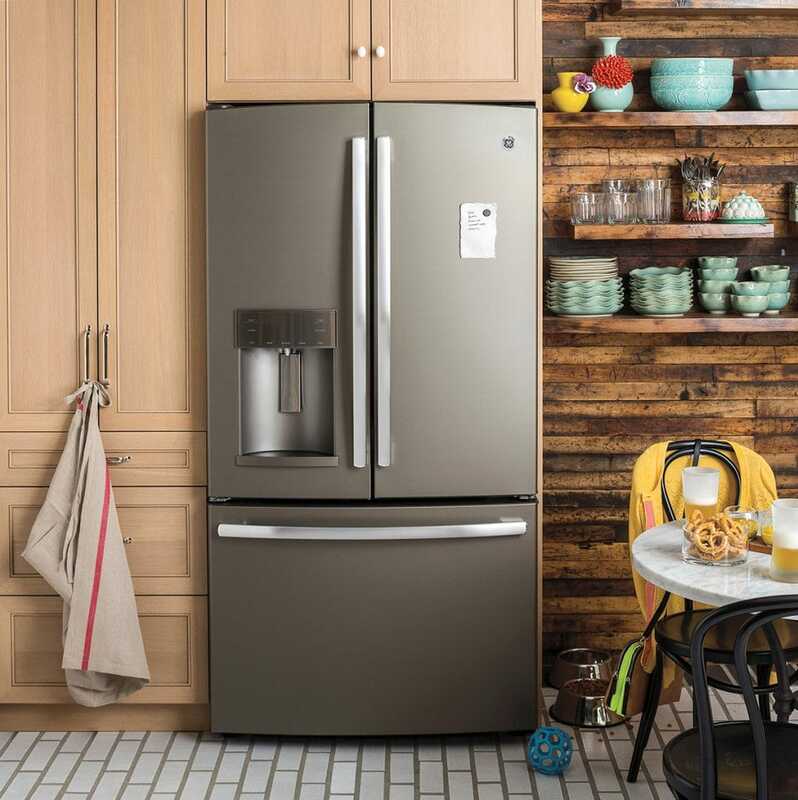 You can save big when you purchase 2 or more GE Profile Collection Appliances. * Now is the perfect time to get those new appliances you know your kitchen needs. *Requires purchase of select GE Profile appliances from the following categories: Refrigerators, Ranges, Wall Ovens, Microwaves, Cooktops, Dishwashers, Rangehoods, Washers and Dryers. Rebate has maximum value of $1500 and minimum of $100. Value determined by number of eligible appliances purchased. See GEappliancepromotions.com to submit online and for full details on manufacturer’s incentive. Redemption value received via mail in form of Prepaid Visa Card. Offer valid 3/30/16 – 4/26/16.